1) Have your veil picked out first. This might sound like a no-brainer, but you want to know what your veil will look like before you choose a wedding hairstyle. If you’re hoping for an elaborate wedding updo, you won’t want a very long veil. to the salon with you. 3) Consider the shape of your face. On your special day, you are going to want to create a look that is 100% flattering to your face. Certain hairstyles will accentuate your best features over other hairstyles. Make sure you pick a wedding updo that brings out the best features of your face. 4) Pick your wedding hair stylist. Select a hairstylist that has specific experience in styling for weddings. 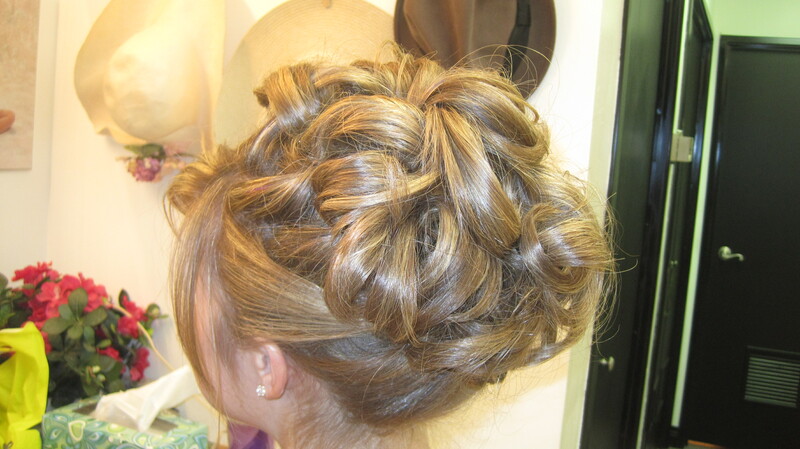 Most salons have a hair stylist who specializes in wedding updos. Check out their online portfolio and see what kind of styles they have come up with. You’ll also want to think about where you will want your makeup done on your wedding day. An ideal salon would be one that offers a wedding hair stylist and makeup artist. you. The earlier you experiment, the better.